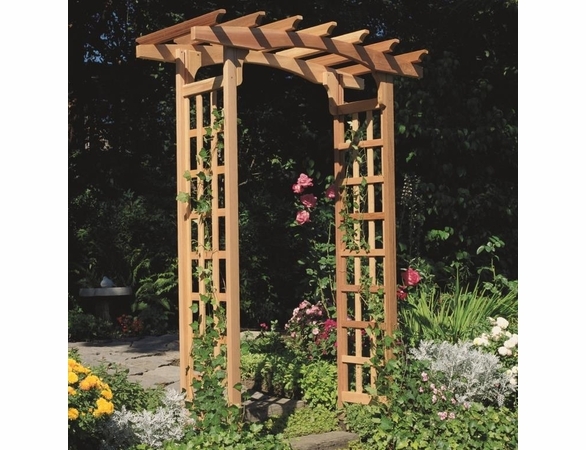 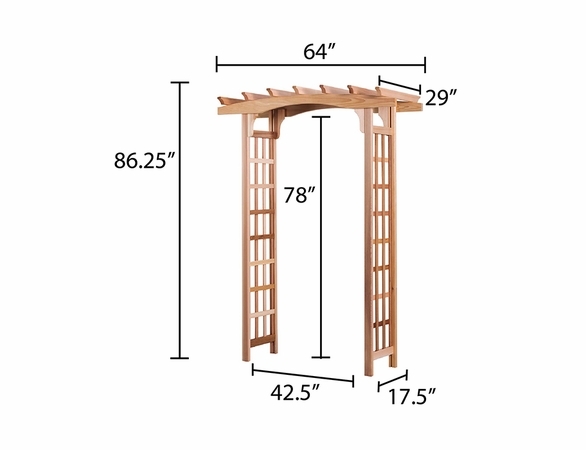 Whether you grow climbing roses, sweet-smelling grapes or some other type of vine on it, the Arboria Astoria Western Red Cedar Wood Arbor will impress your friends, guests and neighbors. 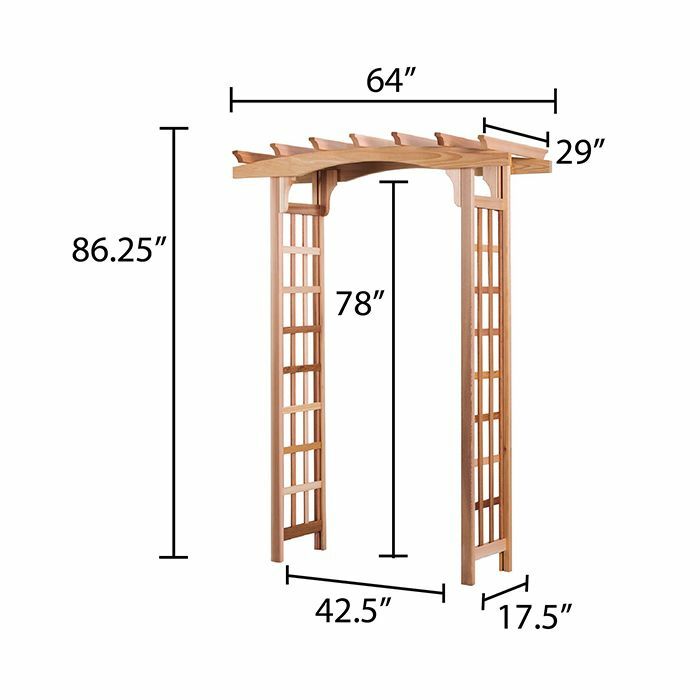 Measuring 86.2” tall by 64.8” wide, this artful arbor boasts dependable American craftsmanship and superior-grade clear cedar materials. 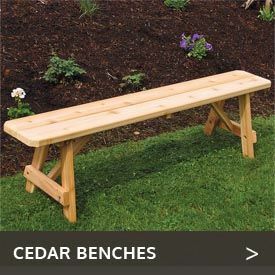 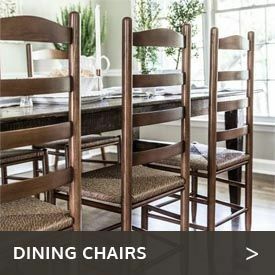 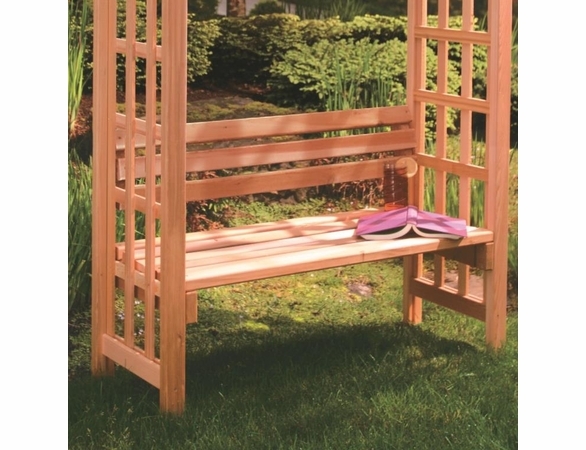 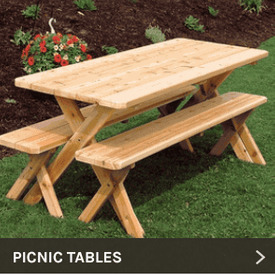 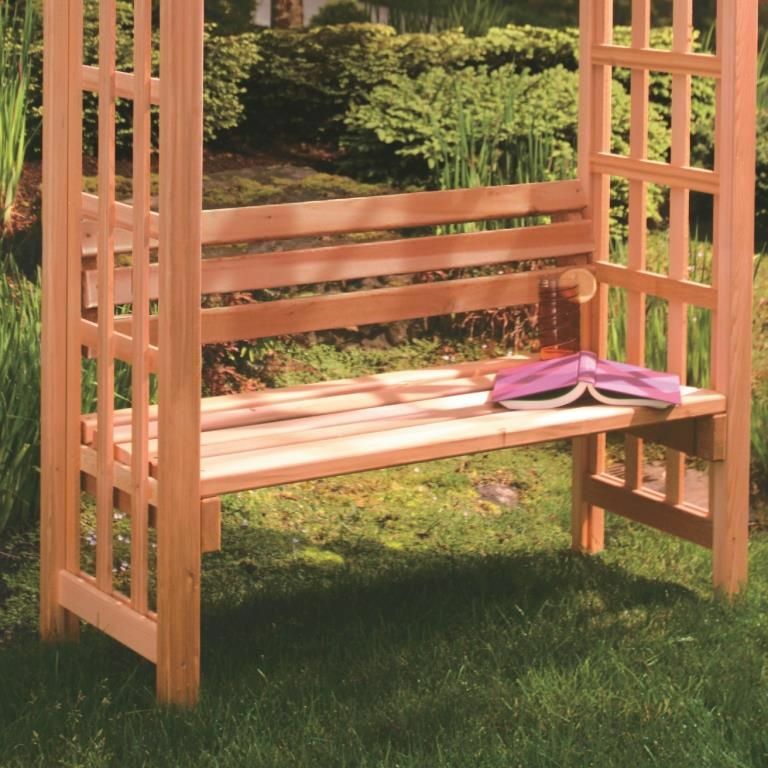 For an additional cost, you can add a matching arbor seat for quiet contemplation in your secret garden.